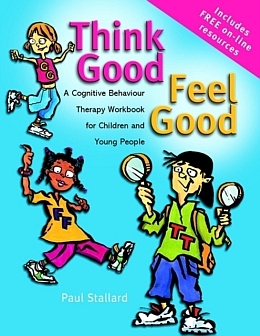 "Think Good, Feel Good" is an exciting and pioneering new practical resource in print and on the internet for undertaking CBT with children and young people. The materials have been developed by the author and trialled extensively in clinical work with children and young people presenting with a range of psychological problems. Paul Stallard introduces his resource by covering the basic theory and rationale behind CBT and how the workbook should be used. An attractive and lively workbook follows which covers the core elements used in CBT programmes but conveys these ideas to children and young people in an understandable way and uses real life examples familiar to them. The concepts introduced to the children can be applied to their own unique set of problems through the series of practical exercises and worksheets. 10 modules can be used as a complete programme, or adapted for individual use. Little else available for this age range. Can be used as homework or self-help material. Available in print and as a downloadable resource on the internet.